Thankfully, this raven is not tapping on my chamber door, though it is a wintery day here in Northern Wyoming. The hubs took this photo down south, though, at the Dickens on the Strand in Galveston. 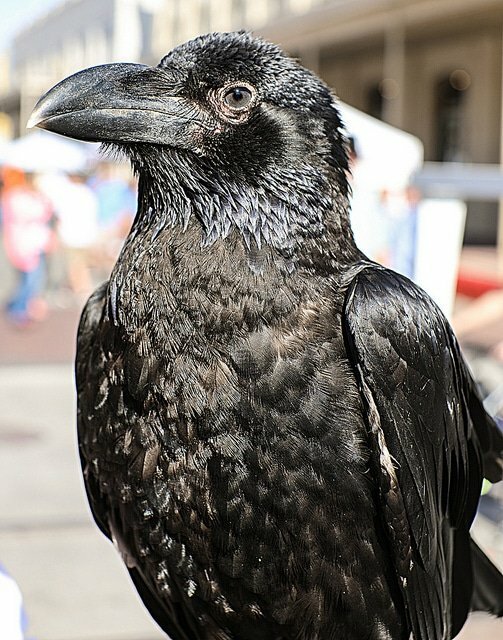 There are ravens in Yellowstone Park and I was shocked how big they are! I would not want one to come knocking on my chamber door! PreviousI Am Not a Book Sniffer…NextHow About Some Area 51 Conspiracy Theories?